Revlon Colorstay foundation is a cult favourite. Readers of my blog have regularly suggested I give it a try but to be honest I'm not a massive fan of drugstore foundations. I just feel they never live up to my favourite high end ones. 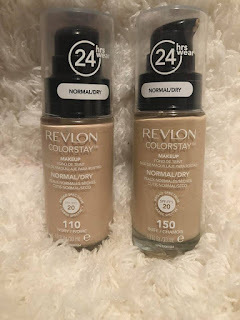 When Revlon contacted me asking me to review this foundation I jumped at the chance so I could see why you guys love it so much. I got a couple of shades (110 & 150) as I wasn't sure which would be the perfect match for my skin tone. I wore both shades, as seen in the pictures below. The shade 110 matches me perfectly. The shade 150 I found wasn't too far off my skin tone when first applied but within 5 minutes had oxidised quite a lot and looked terrible. (See picture below). The foundation also comes in two formula's depending on your skin type. I chose the normal/dry one as I have extremely dry skin but there is also a Combi/Oily version. The foundation has a light to medium coverage. 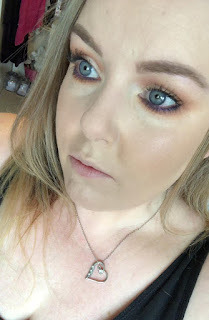 It gives just enough coverage to even out my skin tone whilst still looking very natural. 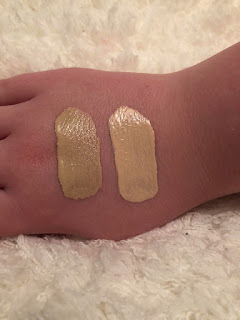 If you are someone who likes a full coverage foundation this certainly wont be for you. The foundation applies very Dewy which is exactly what I want in a foundation, but I found once dry it was extremely matte and my skin felt really dry. This is nothing a quick spray of Mac Fix + or something similar cant fix so not a huge problem. The foundation lasted really well the days I wore it, the only place I found it faded throughout the day was my chin and nose area but this happens with most foundations I use. 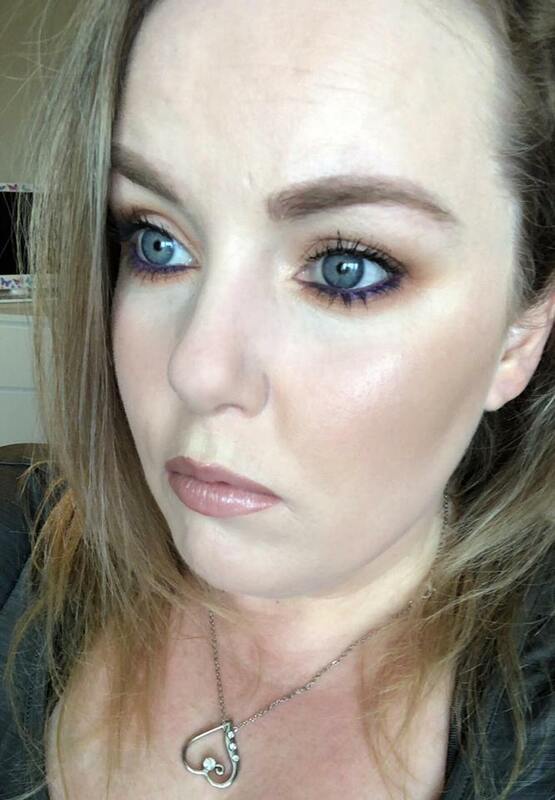 Overall, I really enjoyed this foundation. I feel it is very comparable to my holy grain Giorgio Armani Luminous silk foundation. I will definitely be reaching for it often. Have you tried this foundation? Did you like it? Let me know down below! 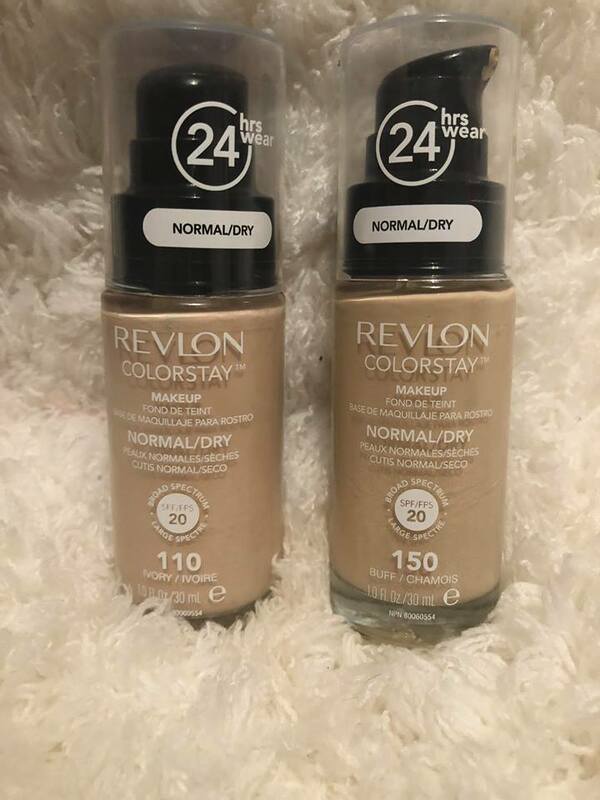 You can buy Revlon Colorstay foundation Here if you are in the UK. *This foundation was sent to me by Revlon but this is not a sponsored post. *Pictures included in this post are unedited.